Human translation is not necessarily the best return on investment for your ecommerce business. Slow translations carried out by humans can cost your online store time, money and a loss in sales potential. What if you want perfect, even poetically beautiful, translations of your listings? Be careful right there! Buyers aren’t looking for amazing product descriptions, but great product offers. Clearly listed attributes and the right keywords are the core of optimal ecommerce translation. What is successful ecommerce translation? 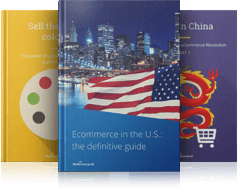 How to ensure your product is easy to find on international markets? Which keywords will sell your product? Why and how is AI revolutionizing global ecommerce and possibly your conversion rates? You’ll find answers in articles from this section.